The first step to decorating a room is to protect the flooring, furnishings and precious or delicate surfaces, before any preparation and painting work begins. You can tell a lot about the quality of a decorator’s work by the way they sheet up. It isn’t acceptable in this day and age for painters to drape dirty dust sheets over your favourite three-piece suite, or leave paint spots on your carpet, or cover your house in dust – and call themselves professionals! At GS Decorating, we think we have every angle covered. Even before we roll out our power extraction sanders and vacuum cleaner, we insist that our decorators use the materials listed below, to make sure that we protect, and keep the work space and your home immaculately clean. From our point of view, this also means we can work efficiently, and we are safe in the knowledge that we can deliver the highest quality dust-free finishes, as promised. We get through a truck load of this ingenious floor protector and it works a treat to protect both carpets and hardwood or laminate flooring. Generally we will lay a product called Packexe, which is a sheeting that goes on carpets and then lay good quality dust sheets on top. On wooden flooring, however, we find that normal heavy grade lining paper either 1200 or 1400 grade, to be ideal. You can purchase both dust sheets and lining paper from any good decorators merchants. 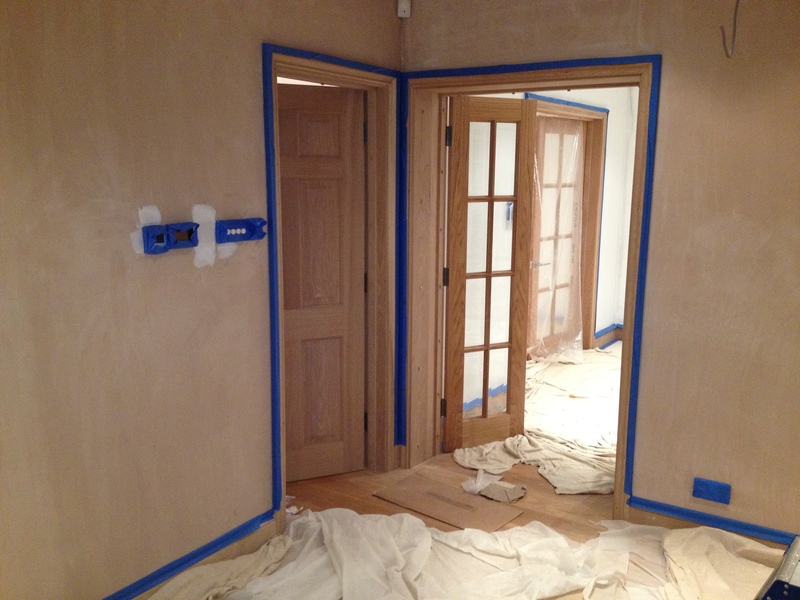 If you view the pictures below you can see a recent property we decorated in Brentwood, Essex. As you can see here, before any painting and decorating is carried out, we protect the entire area, including stairs and all floors, ensuring no damage comes to your property. It is also easy for GS Decorating to clean up and leave your home clean every night, for the duration of the job. The next essential item is good quality low tack tape for masking around all edges. 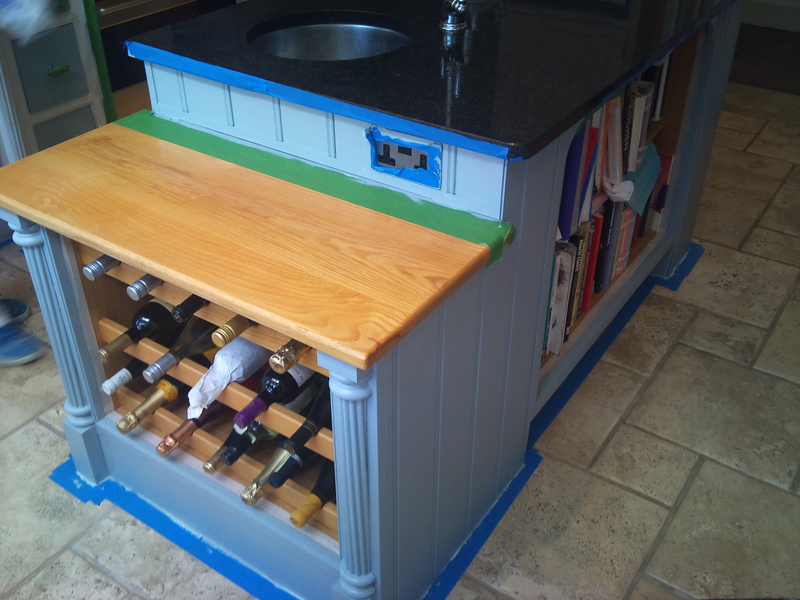 We generally prefer to use Scotchblue painters tape which, again, is available in most decorating stores. Cheap nasty tape is a massive no, no! If you are carrying out a home DIY project or have a decorator in your home, please ensure that bog standard masking tape is not used in your property, especially on any delicate surfaces. When tape is removed, you do not want any sticky adhesive left behind – or worse, a line of damaged polish or varnish left behind. The other main purpose of Scotchblue is to create a perfectly straight paint lines, which is all part of decorating to the highest standard. Scotchblue is perfect for masking around light sockets, architraves, skirting boards, worktops, light sockets and anything else you want to protect. The downside to properly protecting your property in this way, is that it takes a long time to set up. 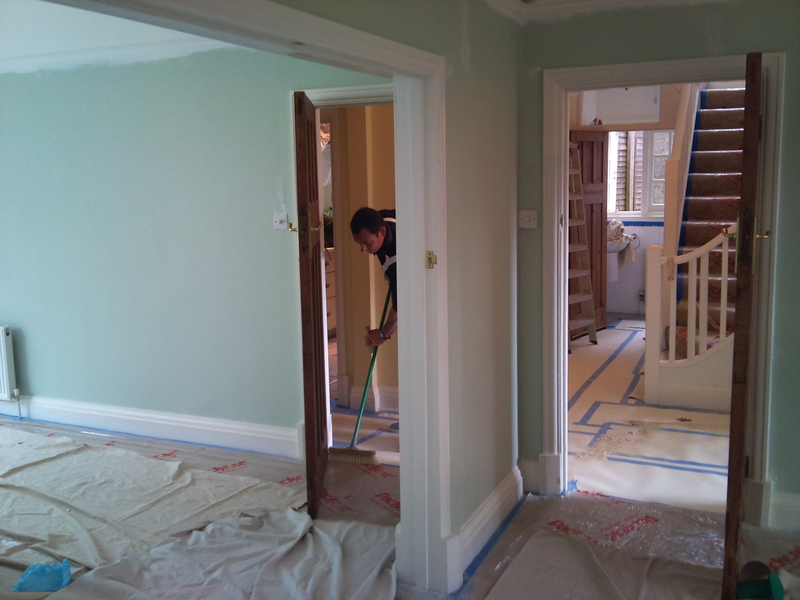 However experience says that there is no short cut to a high quality finish, and in our experience, the advantages of masking-up far outweigh the disadvantage of bitty paintwork, dust all over your home and paint spots on unwanted areas. We advise whether you are working on a property or having work done in your home to make sure the work area has been protected properly. Or if you would like to hire a professional decorating company to decorate a room please contact us and we would be delighted to help. We will not start decorating until we have protected your stairs, hallway, carpets, kitchen work tops or banisters, and any precious surfaces – guaranteed. Great advice and spot on, mishaps can happen to the best of painters & decorators, but by following these simple steps you can avoid costly spillages to new carpets, flooring etc. Alway use the best products to protect your clients property.